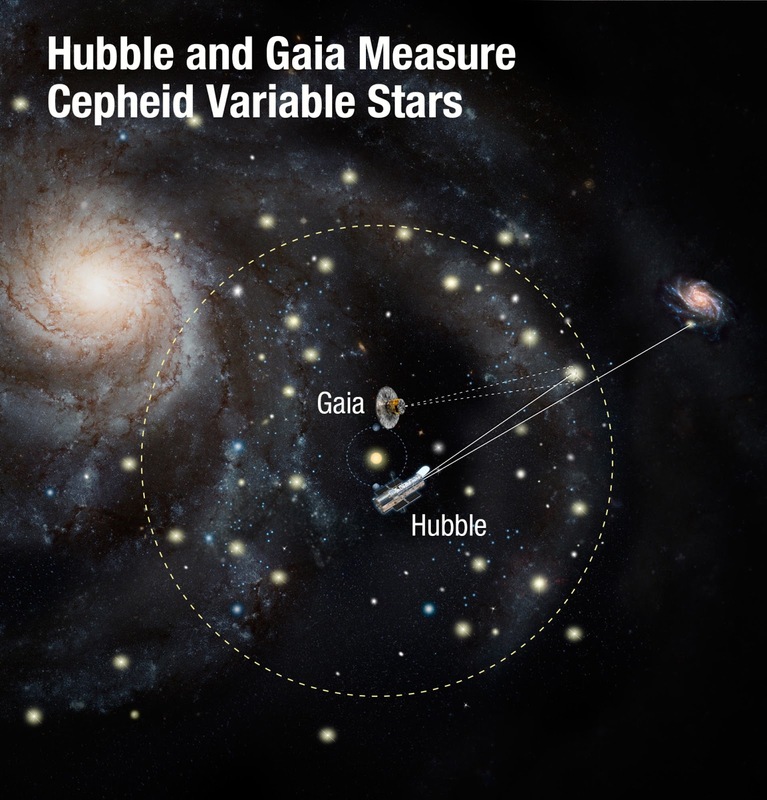 According to a new study published by astronomers using the NASA/ESA Hubble Space Telescope and ESA's Gaia Space Observatory, the rate of the expansion of the Universe has been made through the most precise calculations to date. The study provides further evidence of the discrepancy between the expansion rate of the nearby Universe and the distant, primeval Universe. Through this study, the uncertainty of the expansion of the universe has been reduced to an uncertainty of just 2.2%. This rate was found to be about 73.5 km (45.6 miles) per second per megaparsec through data collected from the nearby Universe. In other words, for every 3.3 million light-years farther away a galaxy is from us, it appears to be moving 73.5 kilometres per second faster. Yet data from another mission, ESA's Planck mission, predicts that the Universe should be expanding today at a slower 67 km (41.6 miles) per second per megaparsec. This older study was based on the mapping of the primeval Universe as it appeared only 360,000 years after the Big Bang. This discrepancy suggests that there could be new physics behind the foundations of the Universe. This could partly be influenced by the interaction strength of dark matter, dark energy being even more exotic than previously thought, or an unknown new particle in the space.